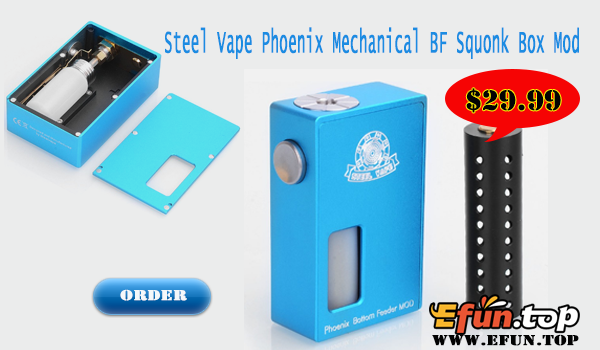 The Steel Vape Phoenix Box Mod is a bottom feeder squonk mechanical box mod with 7.5ml food grade silicone squonk bottle. 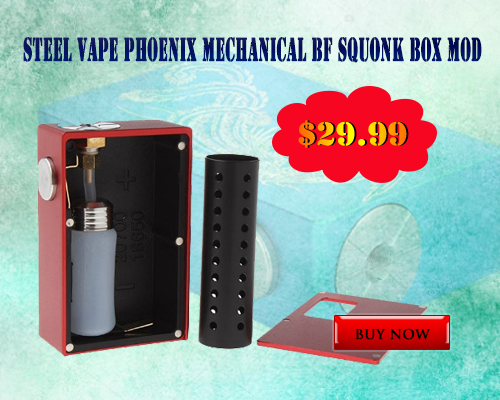 It is powered by one single 20700 battery or 18650 battery with fireproof PC adapter tube. The back cover panel can be attached to the mod with 5 magnets on each side. Guys, please don't forget there is a giveaway on our site, join us to win the brand item for free! Good news, it is in stock now, if you order now, we can ship it to you in 24 hours, please hurry up to get it!